Home / 2018 / Buffalo Soulja / Freeman / Munamato / Music / zim-dancehall / Buffalo Souljah & Freeman Collide on New Track, "Munamato"
Buffalo Souljah & Freeman Collide on New Track, "Munamato"
With GAFA season on the horizon, Zim-dancehall artists and their affiliates have also been positioning themselves for the coming year with a series of new releases and collaborations. 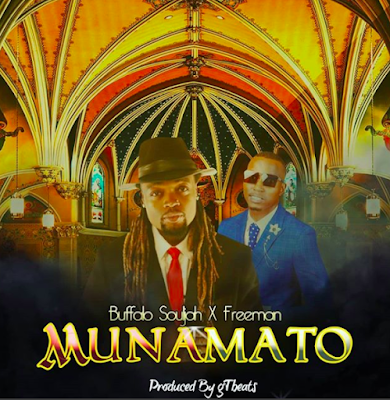 Today, the Zim-dancehall ambassador Buffalo Souljah links up with HKD’s own Freeman for a new hard-hitting street anthem aptly titled “Munamato.” As the trend was set in 2017, Buffalo Souljah is continuing to not only establish his name locally, but also collaborating some of the game’s hottest talents out of Zimbabwe in terms of artists and producers such as gtBeats, who produced this latest offering. Press play to listen in below.